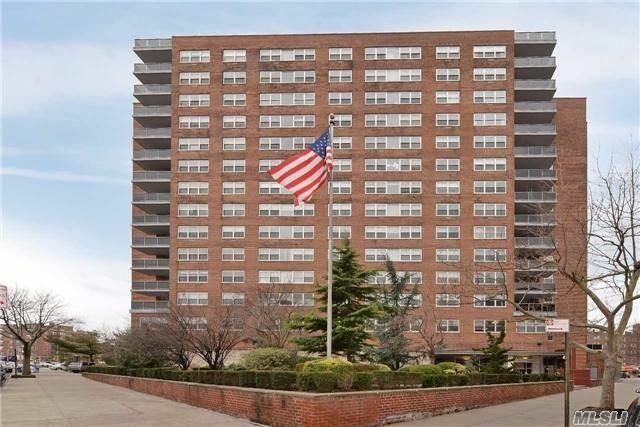 This luxury high rise fireproof building is located in the heart of Forest Hills. Amenities at this cooperative include a doorman, central air conditioning and a laundry room on each floor. For more information, please refer to the document attached. Please upload Copy of fully executed Contract of Sale. The Estate Requirements have been enclosed for informational purposes. Please complete Financial Statement and Itemized Schedules (enclosed). To be submitted along with all supporting documentation. Please upload one (1) Employer Letter of Reference stating salary. Please upload last two (2) years Federal Income Tax Returns. Please upload one (1) Letter of Reference from your landlord. Please upload three (3) or four (4) Personal Letters of Reference. Please complete Tenant Data Form (enclosed). Please complete the Flooring Letter form (enclosed). Please complete the No Pet Acknowledgement Letter (enclosed). House Rules Acknowledgement Letter (enclosed). Copy of House Rules enclosed for informational purposes. Please complete Move-In/Move-Out Agreement form (enclosed). Please complete Tax Abatement Letter form (enclosed). Please complete Primary Residence Form (enclosed). Please complete Building Link Form (enclosed). Annual Bed Bug Filing Receipt has been enclosed for informational purposes. Fire Safety Plan and Brochure (enclosed for informational purposes). If apartment is being financed: 75% Maximum 1.Copy of Loan Application. 2. Copy of Commitment Letter. 3.Three(3) Aztech Recognition Agreements (originals) signed by an officer of the lending institution and applicant(s). Please upload Letter from Shareholder indicating reason for sublease. If you have financing on your apartment, you must obtain your lenders written consent to sublet (sample letter attached). If you do not have financing, you must provide the Board with a notarized letter signed by each tenant-shareholder stating that fact. Copy of fully executed Sublease Agreement. Please complete Financial Statement and Itemized Schedules (enclosed). Please upload a cover letter. For more information please refer to the document attached. Financial Statement and Itemized Schedulesthree pages (enclosed). Please note excel document must be maximized in order to view all schedules. To be submitted along with all supporting documentation. Employer reference letter stating salary. Upload - Last two (2) years Federal Income Tax Return. Upload - Three (3) or Four (4) Personal reference letters. Credit Report (Tenant Data Form enclosed/will be ordered upon receipt of package). Annual Bed Bug Filing Receipt (enclosed for informational purposes). 75% maximum of the purchase price or appraised value for resales. If financing, please upload - 1. Copy of Loan Application 2. Copy of Commitment Letter 3. Three Recognition Agreements (originals) signed by an officer of the lending institution and applicant. Upload Letter from Shareholder indicating reason for sublease. Once consent to sublease is given by the Board of Directors, proceed to next step. 1. If you have financing on your apartment, you must obtain your lender's written consent to sublet (sample letter attached). If you do not have financing, you must provide the Board with a notarized letter signed by each tenant-shareholder stating that fact. Rider to Sublease Agreement (enclosed). House Rules Acknowledgement (enclosed). Copy of House Rules enclosed for informational purposes. No Pet Acknowledgement Letter (enclosed). Letter from Shareholder indicating reason for re/financing. Please upload Financial Statement and Itemized Schedules. Last two (2) years Federal Income Tax Return. Copy of fully executed Commitment Letter. Copy of fully executed Appraisal Report. Three Aztech Recognition Agreements (originals) signed by an officer of the lending institution and applicant.